management software that goes wherever you need it to. Connect the entire business process from bidding to closeout with every member of your team working together in the same system. 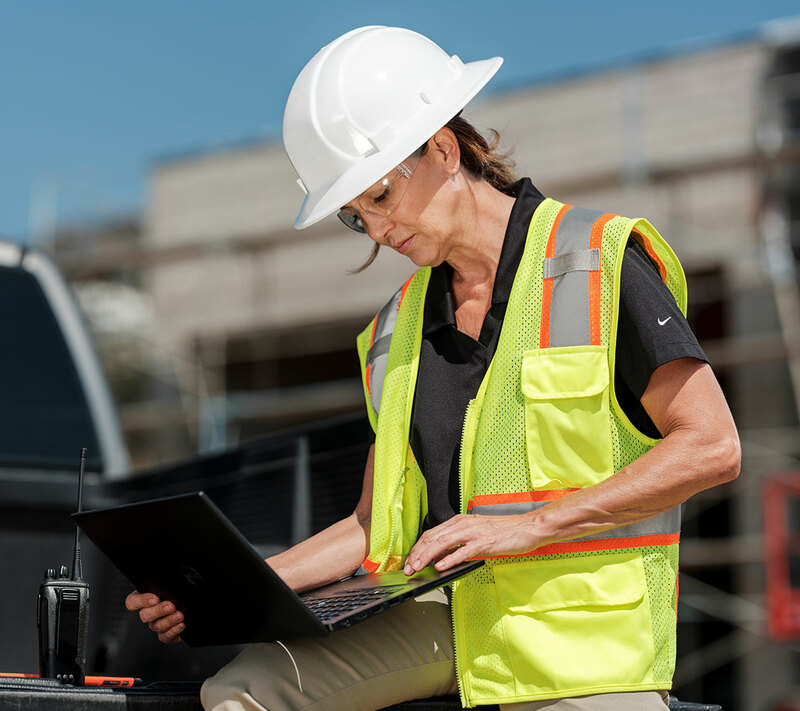 Improve processes that comply with safety regulations and quality specifications with real-time visibility into performance insights. 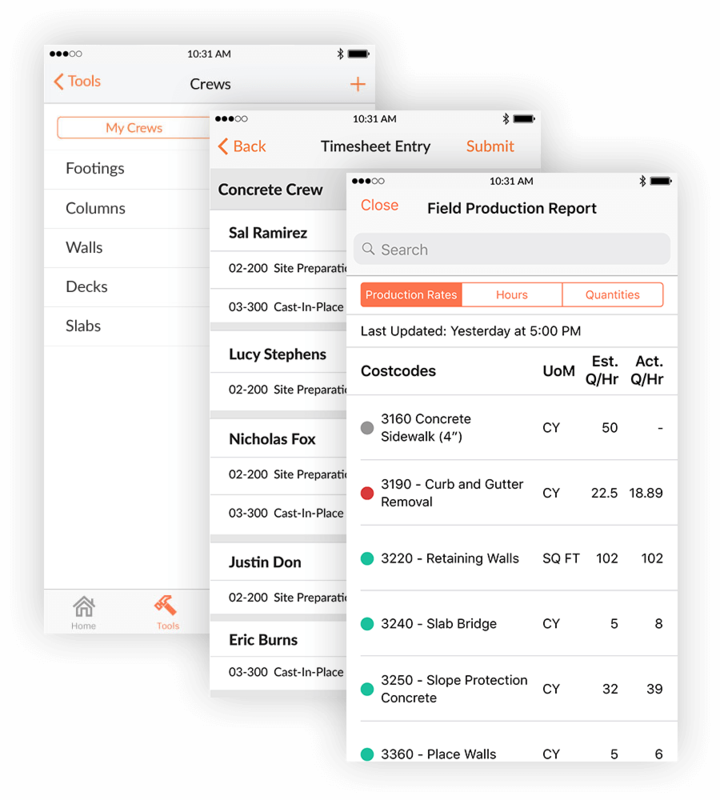 Deliver projects on schedule and on budget by providing field teams with real-time labor productivity information. Get the job done right the first time with real-time communication across project teams and access to the latest information. Minimize risk, maximize profits, and manage change in real time with project financial tools built for the field. Get paid faster with collaborative billing for stakeholders, accurately bill for work completed, and automate invoicing. Seamlessly connect to your back office's trusted accounting system for real-time access to job costs and profitability. "In three months, Procore paid for itself—just through purchase orders alone. 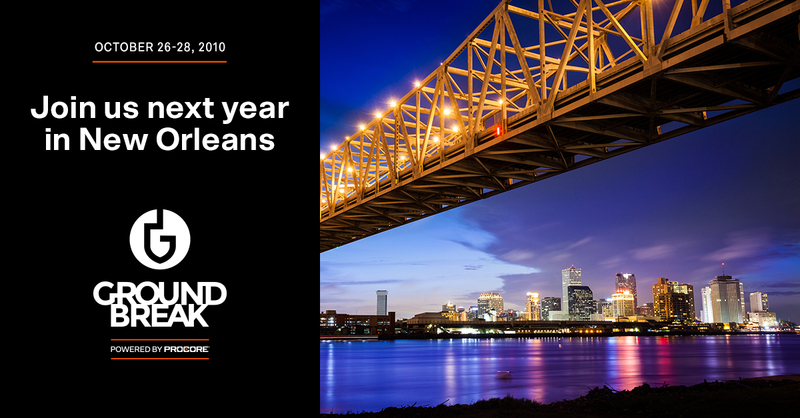 In a year, it helped us grow revenue by $10 million." 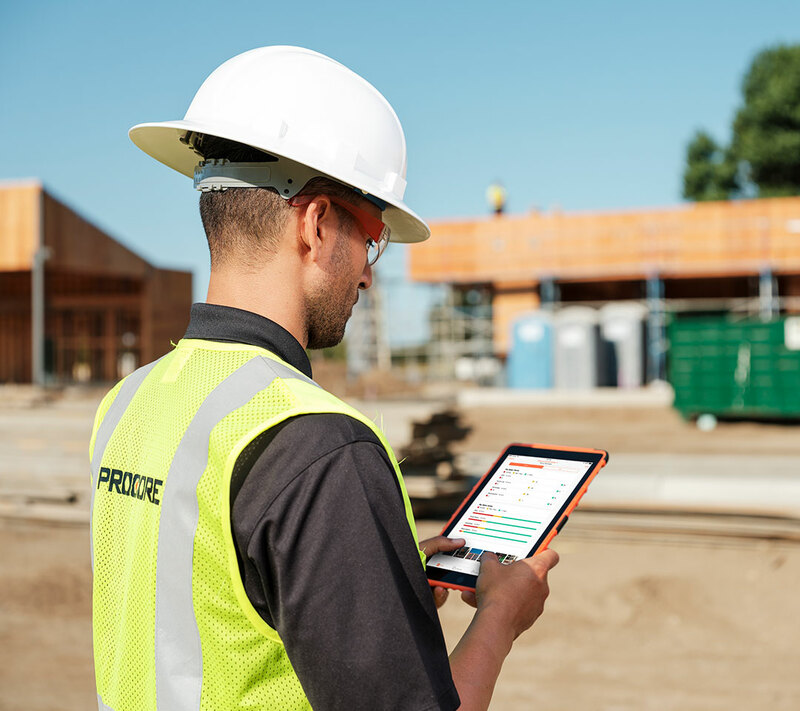 "Procore is not just designed for general contractors. It will streamline your processes and make everything you need accessible in one place." "With just the Timesheets Tool alone, I'm able to save 6 different project managers 6 hours a week." Stay safe, on schedule, and on budget. Only when your field and office teams are collaborating together within one system can they truly build efficiently and succeed. That’s what we built and it makes all the difference. Procore feels as familiar as putting pen to paper. Your team will feel so comfortable, they'll actually use it. When the unexpected comes up, you can count on unlimited support for unlimited users. As soon as you step onto the jobsite, access up-to-date drawings and documents. That way, you can get the job done right the first time and make informed decisions to keep your projects on track. No more back of the napkin notes, printing and mailing fees, and unapproved change orders. Wherever you go—basements, wifi free zones—your documents are in the palm of your hand and instantly shareable. Get the visibility you need to baseline, trend, and improve your safety processes so you can make a real difference. No more two-week-old reports to rely on. Know where you’re on track or behind, in real time. Spend less time billing and more time building collaborative relationships with your GC. Step onto jobsites with confidence, knowing everyone has what they need to get the job done. Ready to make more profits? Take the first step toward your best year yet with Procore. Resources to get you started. 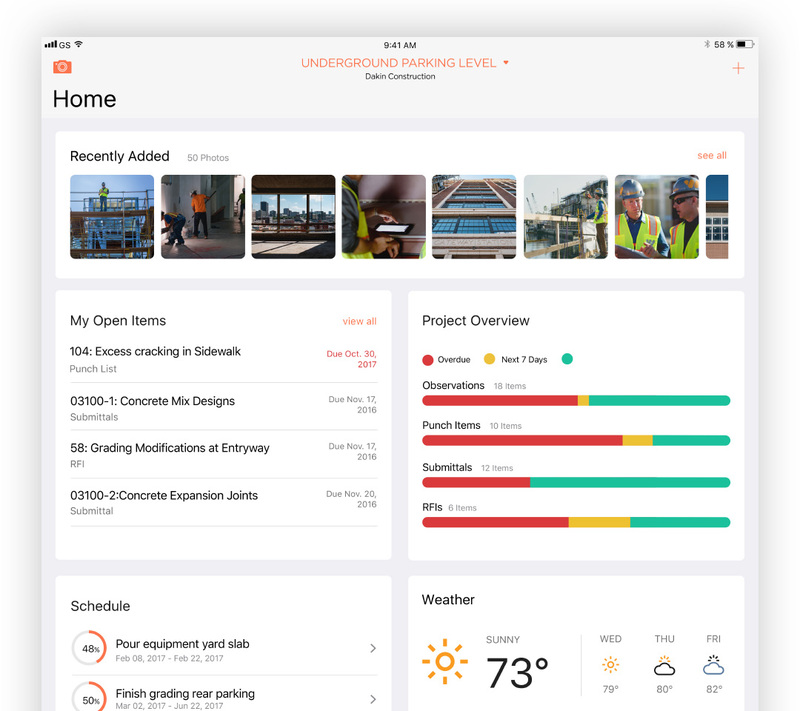 Experience the most widely used construction management platform for subcontractors. 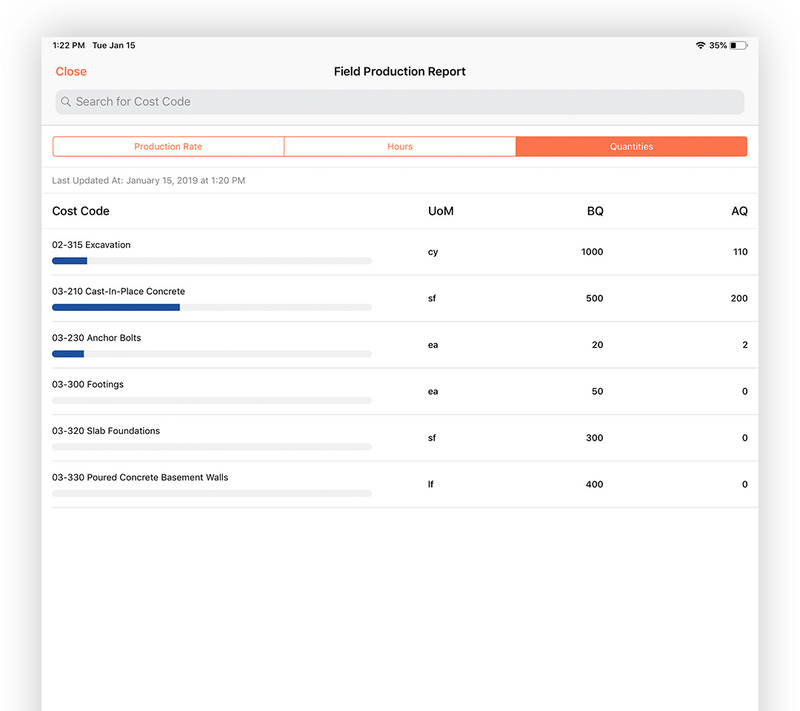 Fill out the form to chat with a Procore expert about how our software can help your team stay safe, on schedule, and on budget.